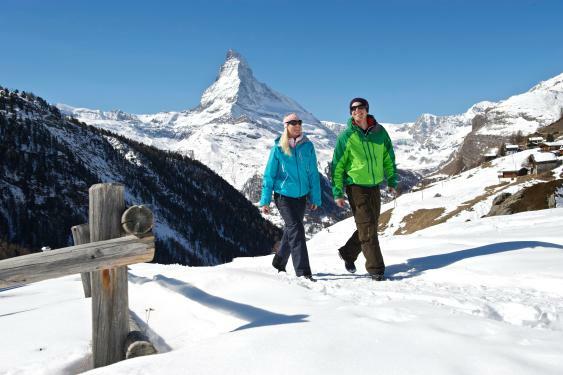 The majestic scenery sitting at the foot of the iconic Matterhorn, the preserved traditional charm of its old town and its delightful luxury makes Zermatt one of the best resorts in Europe. Zermatt is all about atmosphere, you can find every alpine cliché on its narrow streets, lined with wonky weathered chalets and lights which glisten in the night. The stone, slate and alpine timber buildings oozing charm entice you to wonder around the town and drop into its many cafes and restaurants. Car free all year round, you can move around on foot, electric little taxis and occasional horse carriages travelling through the streets. Zermatt is very upmarket and stylish, but most of all you can feel there the wildness and dramatic scenic beauty of the high Swiss Alps. The combination of long intermediate runs with outstanding mountain restaurants makes it a perfect choice for skiers of many different levels and preferences. 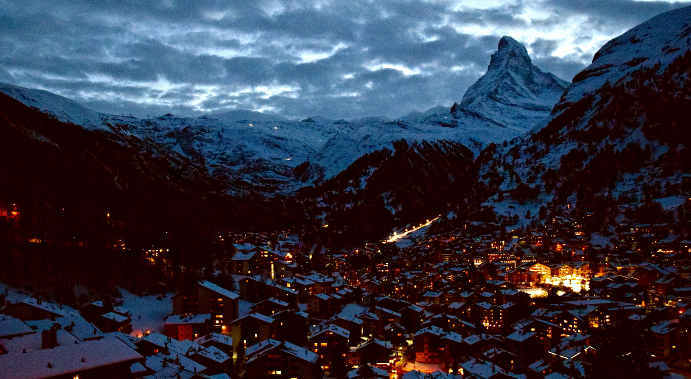 Zermatt skiing is across three main ski areas. The Matterhorn Glacier Paradise (Klein Matterhorn) area it has snow-sure north facing slopes from late November to the end of April. The Sunnegga-Rothorn area has more tree runs and terrain for all ability levels. The diverse terrain of the Stockhorn/Gornergrat offers intermediate and freeride options. 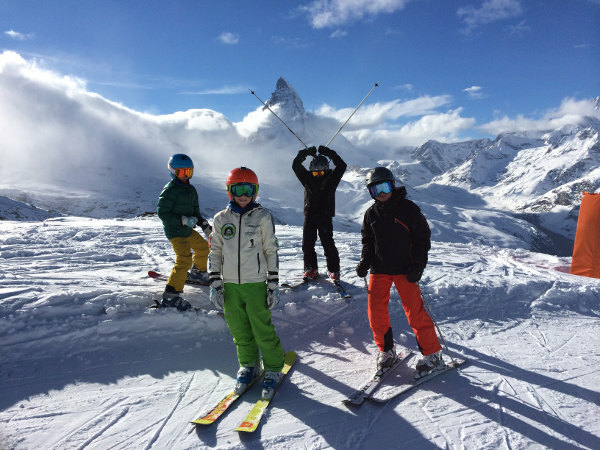 With 210km of marked piste, plenty of off-piste terrain and 34 modern lifts, including funiculars, trains, cable cars, gondolas and chairlifts, you can assert that Zermatt has a big skiable area. Counting the linked resorts of Cervinia and Valtournenche in Italy, which are Interconnected, and you can acces for few extra Francs or Euros, the terrain becomes gigantic, with 360 km of slopes. The Zermatt ski area is dominated by intermediate runs. Blacks runs are pretty tame, skiers looking for a challenging runs need to look for the off-piste terrain. There isn’t much for beginners on offer. Located in the canton of Valais, in the southern part of Switzerland, not far from the Italian border, the closest international airports are Geneva (2:50hr) and Zurich (3:50hr). Zermatt is car free town. If you want to drive there you must park in the down-valley town of Tasch and complete the journey by a short train ride. Once in Zermatt, there are electric taxis to get around. 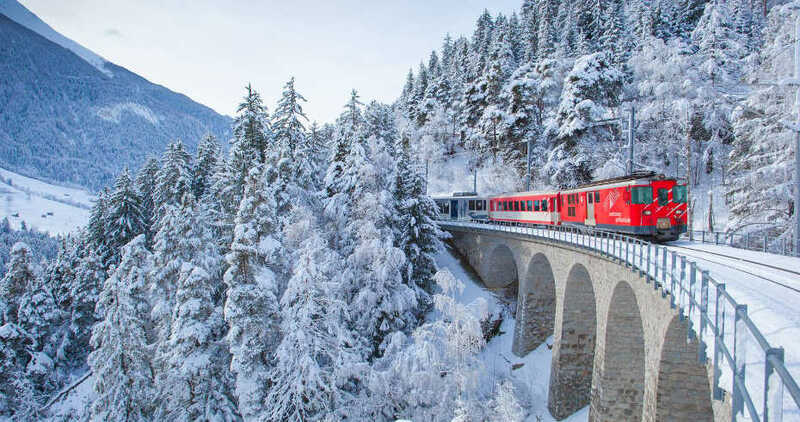 The journey by train via the Matterhorn-Gotthard Railway from the town of Visp is one of Europe’s best train trips. You also can get there by helicopter if budget is not a problem. Distance wise Milan is the nearest international airport, but takes you the same time to drive from Geneva airport due to most of the drive is on motorways. Transfers from Zurich and Bern are now faster thanks to the new rail tunnel opened in 2008. The closest regional airport is at Sion, has flights from Zurich and some direct international flights. Transfer from Sion by car is an hour and a half and two hours by train, another option is by helicopter with a 20 minutes flight. 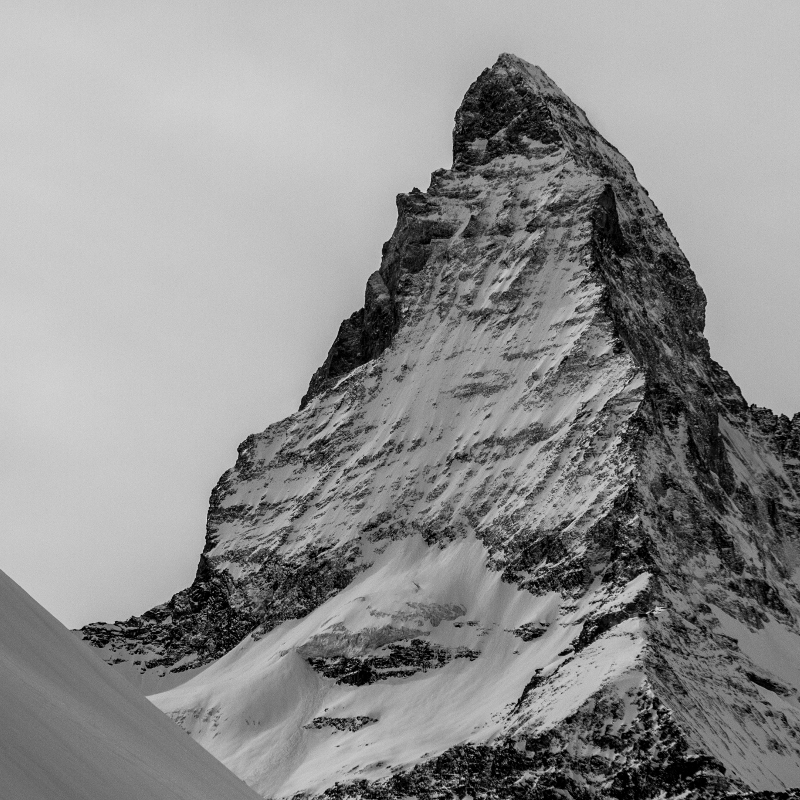 You can book private transfers from the main airports to Zermatt. GVA Transfers provide quick and comfortable private transfers for individuals and groups of any size, they wait if your flight’s delayed, with drivers speak English and French, and at Geneva airport the priority parking area is just a short walk away. From Geneva there is an the InterRegio train to Visp via Brig approximately every 30 minutes. The fisrt part of the journey last around 2 hours 30 minutes until Visp, where you have to change and take the Matterhorn Gotthard Bahn train to Zermatt. From Bern there is an the InterRegio train to Visp via Brig, where you have to change and take the Matterhorn Gotthard Bahn train to Zermatt. From Zurich take a train to Visp via Brig, there change and take the Matterhorn Gotthard Bahn train to Zermatt. Zermatt is car-free, drivers must park in must park in the down-valley town of Täsch, there board on the train for the ten minute ride into the village. Car parks fill the road into Täsch, some covered. You can board the train with a trolley, so you can even wheel straight to your hotel door at your arrival. Alternatively, electric taxis and hotel shuttles, ferry visitors to their accommodation. Before jump into a taxi try the large hotel listing board at the station, which has phones for ordering free hotel pickups. There is no lack of off-slope entertainment in Zermatt. Glamorous shops and fabulous restaurants to satisfy many gastronomic dreams. There is also plenty bars to please your liver and family friendly amenities. Other activities include paragliding, cross country skiing, scenic walking trails and a special 10 minute evening toboggan run. You can try also helicopter sight seeing flights around the Matterhorn. Other interesting option is a cable car trip up to the top of the Klein Matterhorn to explore the ice museum glacial caves. For more relaxing alternative there are multiple spas and beauty salons around the resort. Under Zermatt fame of formal atmosphere there is a whole party world to choose from. With more than 100 restaurants, 60 bars and countless nightclubs, certainly there is a bit of amusement in offer. Some options are Papa Caesar, the contemporary Vernissage cocktail lounge or Hotel Post. Another option is the traditional Hexenbar on main street.